In 1994, a Guatemalan woman named Tita Evertsz began volunteering her time in La Limonada (“The Lemonade”), even after her church leaders encouraged her to avoid the community due to its violent reputation. Her own past included drugs and an abusive relationship, so Tita could relate to the struggle of the people there. She would push her children in a stroller while carrying a pot of rice and beans to share with people in the community. Years of serving the community and witnessing cycles of poverty, drug abuse, violence, and death reaffirmed Tita’s conviction that she had to do more. 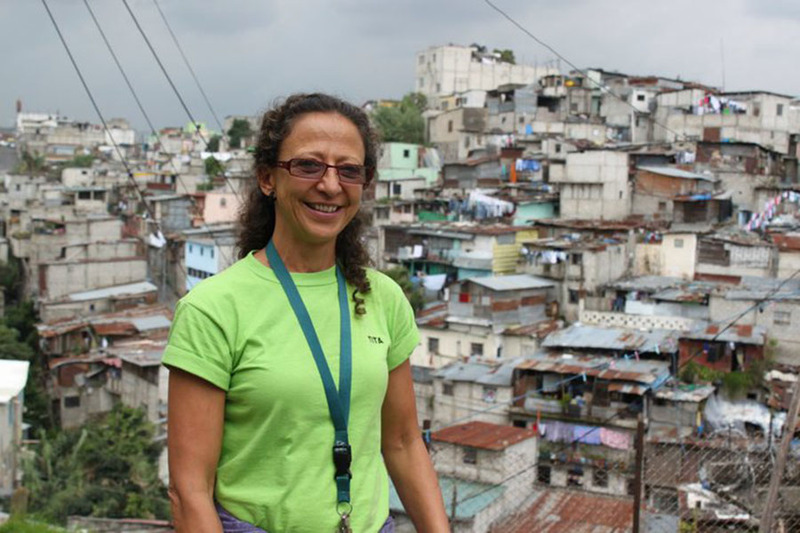 Tita founded Vidas Plenas (“Fulfilled Lives”) in 2001 as a Guatemalan NGO, beginning with an academy providing supplementary education, daily meals, training in nutrition and hygiene, sexual education, prevention programs, a spiritual safe haven, and plans to provide students with scholarships to attend formal schools in Guatemala City. 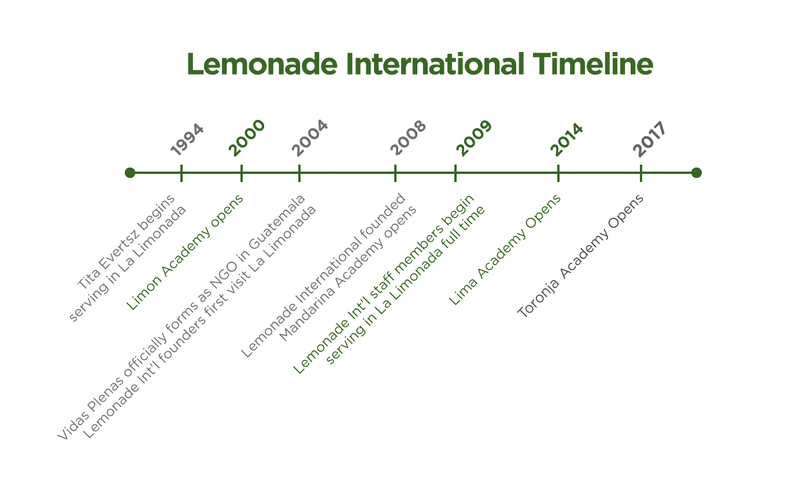 In 2004, the first group from the US, including the founders of Lemonade International, served with Tita in La Limonada, and helped raise funds to expand the school. 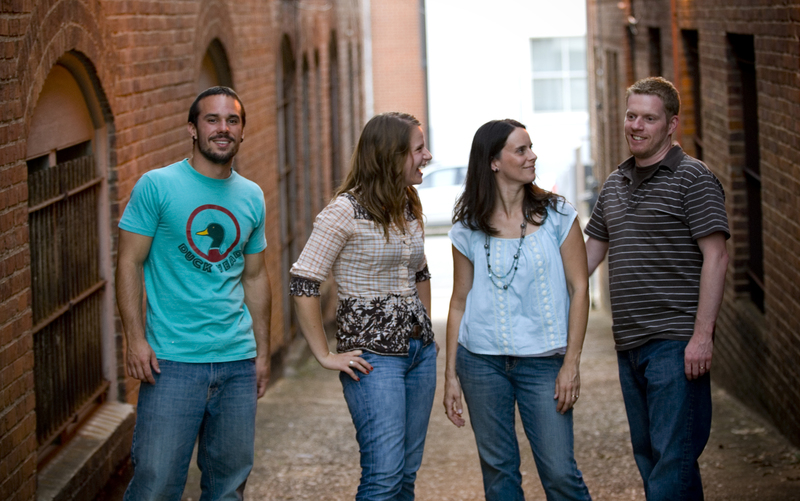 A lifelong friendship emerged from this trip which led Bill and Cherie Cummings, Leah Craver and Donnie Long to establish Lemonade International in 2008 as a federally recognized, 501(c)(3) non-profit organization incorporated in the State of North Carolina. That year, the Mandarina Academy was established in a neighboring barrio and today almost 150 children attend school there as well. The Lima Academy opened in 2013, and now has more than 100 children enrolled. The Toronja Academy opened in July 2017 and now has more than 80 children enrolled. The academies serve as beacons of light and hope in the midst of the darkness of La Limonada. The buildings provide much more than a space for the academies. They provide a place for parenting classes and a launchpad for relationally-based ministry among the children, individuals, and families in the community. We are committed to supporting the mission of Vidas Plenas as they continue their work in gang prevention, community relief, and rescue outreach through the existing academies and through future expansion into all ten barrios (neighborhoods) within La Limonada. Our shared desire is for those most in need to experience transformation and to live full lives in Jesus. 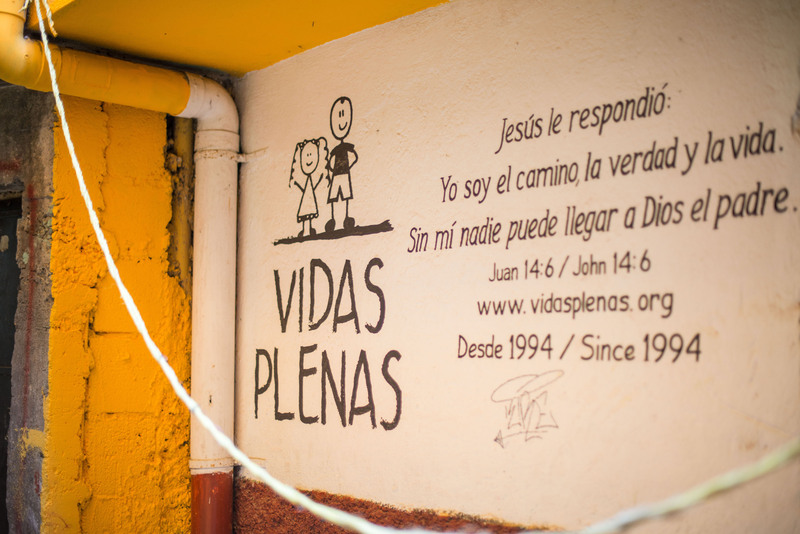 Read more about the Vidas Plenas Rescue Bridge model and our work here.